It’s time to get serious about my family history research. Particularly when it comes to breaking down a brick wall that is preventing me from getting across the pond. 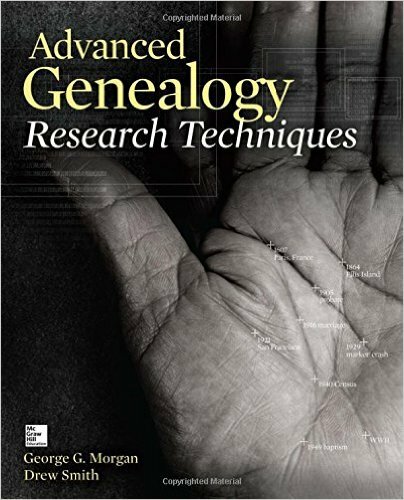 Toward that end, for the past few weeks I’ve been devouring reading George G. Morgan and Drew Smith’s book Advanced Genealogy Research Techniques. A book I highly recommend btw. And now I’m ready to put some of their suggestions to the test. My 2nd great-grandfather Jacob Koebe Mueller was born in Switzerland 11 Aug 1844. He immigrated to the U.S. in 1866, married my 2nd great-grandmother 28 Nov 1874, became a father 22 Sep 1879, had a second child 14 Sep 1882, and in 1891 he bought a newly constructed house in Chicago’s Englewood community. Jacob’s wife Elise died 29 Dec 1901. He and daughter Alma remained in their family home until Jacob’s death 17 Oct 1910. He is buried in Section F-5, Lot 227 of Oak Woods Cemetery. Alma was listed as the informant on Jacob’s death certificate. She and her brother Alfred [my great-grandfather] were named executors of Jacob’s will and as such sold the Englewood home shortly after Jacob’s death. Alma later married and moved to Elgin, roughly 50 miles northwest of her childhood home. So I know a little about Jacob and his life, right? Although I know quite a lot about Jacob after he was married to my second great-grandmother, I know almost nothing about his life before then. Did Jacob have siblings? Did they and/or his parents immigrate to the U.S. too? And from what town in Switzerland did Jacob hail? Until I learn the name of his birthplace, Jacob’s life in Switzerland will remain a mystery. But it would be a pretty challenging undertaking as not all the records I need to review are available online or through the Family History Library. And while I was reading Advanced Genealogy Research Techniques [AGRT] it occurred to me that in my zeal to locate Jacob’s place of birth, I had done only rudimentary research on Jacob’s son Alfred. And Alfred you may recall, is my great-grandfather. Hmm, maybe it’s time to back up a little and get to know Alfred. On pages 14 and 15 of AGRT, George and Drew suggest their readers “Gather All the Evidence You have Collected”, “Organize Everything Sequentially”, “Reread Everything” and “Compile a Timeline”. I decided to sort of merge all these steps into one large project, culminating in a timeline for my great-grandfather’s life. The example shown on pages 17-21 of AGRT begins before the beginning. Or rather, starts before the subject does, with the existence of the subject’s parents. So that’s where Alfred’s spreadsheet begins, with the marriage of his parents 28 Nov 1874, nearly five years before he was born. Yay, already I have a sourcing “opportunity”! There is a story behind finding my second great-grandparents’ formerly elusive marriage certificate. And I’ll share that story on the next Timeline Tuesday. See you then! I will definitely be looking into that book, thank you. Looking forward to that post (I’m behind in my blog reading). Thanks for visiting Anna! I think you’ll really enjoy the book; I picked it up again this week and re-read several chapters. Ah, you are keeping us in suspense! I look forward to the next chapter. And now you’ve made me think about a second book today—both from your recommendation! Last night my husband and I chatted about the long winding path I had to follow to get that marriage certificate. We remembered more of the shake-your-head details. Made me appreciate even more how easy things can come to us these days. Glad to hear you are interested in the books – I’ve been walking to my local library quite a bit this summer. Hope you enjoy them! Thanks, Laura. And I LIKE the suspense! I used to make the mistake of assuming that my ancestor migrated alone – only to find that other siblings or relatives arrived before them, at the same time, after them. And it’s often their records that blow a big hole in the brick wall. It’s taken a while, but I’m learning to check for others. It’s funny how many assumptions we make along the way, isn’t it? I’m excited about renewing the search for Jacob’s family of origin and very curious about whether or not they came to the States too!